PAUL KLEIN Of LANY Becomes Emotional While Singing "Hericane"! - MYX | YOUR CHOICE. YOUR MUSIC. PAUL KLEIN Of LANY Becomes Emotional While Singing "Hericane"! Indie pop trio LANY has come to the Philippines for the third time in two years. From debuting at Wanderland 2017 to performing five jam-packed mall shows last August, their shows just keep getting bigger and better. And thanks to their fast-growing fanbase in the country, the band just had their first ever arena shows here! There were lots of amazing surprises during the first night which frontman Paul Klein described as “the best night of his life”. He had a solo piano moment onstage, singing "Current Location" and Harry Styles' "Sign Of The Times"! Watch the sweet yet melancholic scene in these fan videos! YOU WERE RIGHT @WENDYFROMLA, HERICANE IS THE BEST LIVE! I CAN’T BELIEVE I HEARD MY SONG LIVE, I AM THE HAPPIEST BEAN ON EARTH! 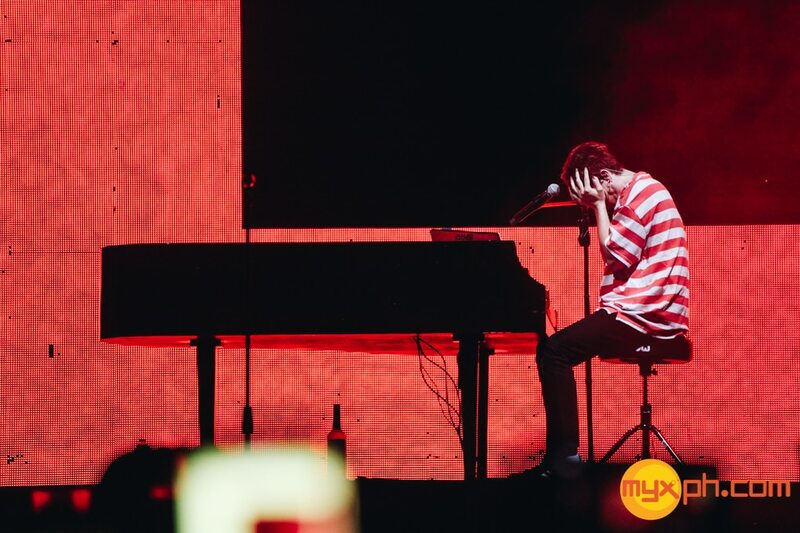 Check out more MYXclusive photos from LANY's concert HERE! Did you watch LANY's shows at the Big Dome? Share your experience here!